The Many Genres, One Craft series on fantasy continues with Chun Lee - another great writer I've known for many years. If you'd like to know more about the author and Many Genes, One Craft, please scroll to the end of the article. I’ve been asked to do a guest blog, which is something I have never done, but I don’t think it will be too difficult. I thank Alexa, for this opportunity (it’s really nice and comfy here). Our subject is fantasy. 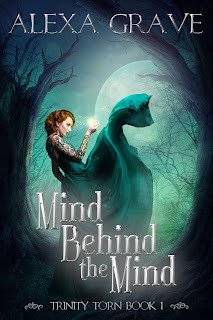 More specifically I am to give you two examples of fantasy from way back in the day and two examples of contemporary fantasy and explain why those titles speaks to me or influences me. Let me first define my favorite type of fantasy. I like my fantasy to be grounded. I like it to make sense. I don’t mind the wonder of it, absolutely nothing wrong with wonder. In fact I think grounding a fantasy enhances the wonder. Giving the reader a sense of how characters view their world lets the reader understand how wondrous a certain fantastic element is. I never liked it when characters felt no awe in the presence of the fantastic. So my favorite fantasy reads tend to have a realistic grounding to it. Take a look at T.H. White’s The Once and Future King. This is the novel that pretty much decided what the Arthurian legend was going to be for the 20th century. The fantasy elements in this book can always be doubted. It could be magic but it could also be an interesting dream or a simple misinterpretation of reality. In this world magic is magic only when you believe it to be magic. It’s a very fine line that White does a fantastic job treading. Another fantasy classic worth taking a look at is Dracula. I know you want to now point out that Dracula is a horror novel, but what’s wrong with considering it to be both horror and fantasy? There are plenty of fantastic elements in it. It’s also grounded. It’s a strange mixture of the emerging faith in Victorian technology and the fear of the distant supernatural coming to town. Applying science to fantasy seems to be the most logical thing to do when faced with the impossible. It’s human nature to want to understand how some strange foreigner is using supernatural powers to drink people’s blood and take their women. Let’s now move on to contemporary fantasy. We have so many choices to look at so how about I just let my inner superfangeek out and use my two favorite contemporary fantasy writers? George R. R. Martin’s A Song of Ice and Fire series has been captivating my interests for years now. It is low magic fantasy, but it does not need to be low magic to be grounded. It is grounded because Martin created his world from a historical basis. The man has done his research and it’s obvious he knows a lot about the politics of a medieval society. There is an economy to his world. Matters on one side of the world have ramifications on the other side of the world. And when Martin does use fantastic elements in his story I know I am in good hands because he has thought out exactly what such things could mean to his world. Another favorite of mine is China Míeville’s Perdido Street Station. I love the fact that Míeville answers the question of how science would react if magic was a common phenomenon; it tries to find industrious uses for it. Míeville creates a world in which magic and technology are married to one another. And yes, it breaks the rule of lack of wonder from its characters (Míeville tends to break a lot of rules and does a fantastic job at it), but there is a sense of wonder in the narrator’s voice that is imparted to the reader. The characters may not be impressed with all the amazing architecture, fantastic machines, and multiple races, but the narrator is and he isn’t scared to share the impressive nature of the world he is describing. Chun Lee is dodging gators and enjoying amazing Cajun cuisine in Lafayette, Louisiana. His work has appeared in The Late Late Show, Dissections, Sails and Sorcery, and the upcoming anthology Paper Blossoms, Shattered Steel. He is a graduate of the WPF program at Seton Hill University and is currently earning a Ph.D. in English at the University of Louisiana at Lafayette. 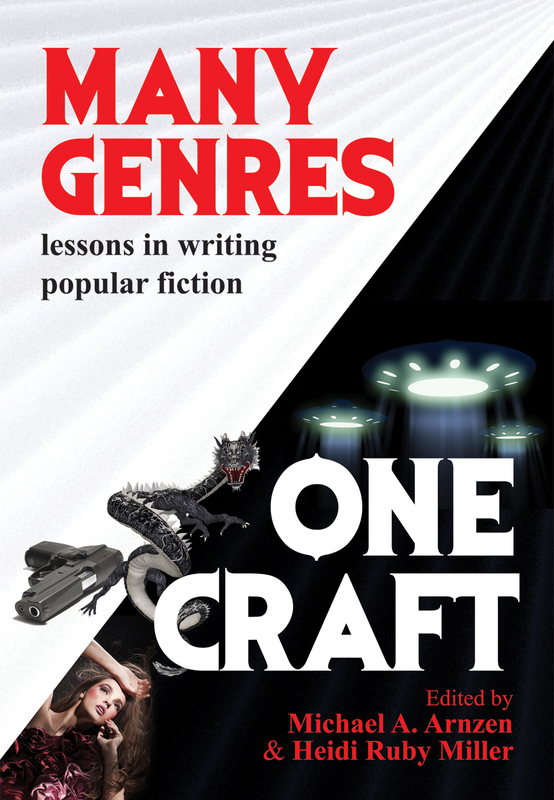 His article "Pursuing the Graduate Degree" is part of the writing guide Many Genres, One Craft: Lessons in Writing Popular Fiction. Many Genres, One Craft: Lessons in Writing Popular Fiction (Headline Books, 2011)is an amazing anthology of instructional articles for fiction writers looking for advice on how to improve their writing and better navigate the mass market for genre novels. MGOC is available for purchase from Amazon and Barnes & Noble! NEXT UP: Randomness and a new chain story! Great post, Chun! You really know your genre.